With the new year comes a variety of exciting new trends in the interior design industry. This year, there’s a lot of focus on modern dining experiences. As we put more importance on spending time at home with our friends and family, our dining space needs to work hard, being practical as well as stylish. Influenced by the bohemian and tribal trends for the year ahead, dining seating gets an eclectic update in 2019. No longer does the look have to be perfectly polished and sleek, instead, styles can be mixed and matched to create a laid back finish with a stylish edge. Keep the look uniform to some extent- if you’re going for wood chairs, stick to wood styles rather than mixing in upholstered chairs. Or if you’re basing your look around an upholstered chair that you love, mix and match other upholstered chairs. By keeping the material the same, you can create a cohesive look with an eclectic edge, it’s colour and form that you want to play with. For wood styles, try mixing the Emma dining chair with the Arlekin dining chair for a look that focuses on mixing and matching with form and shape. If you have a need for lots of seating, try adding in the Snack dining chair in natural oak to mix up the light and dark wood finish. For upholstered chairs, the Maya chair by Connubia Calligaris is a great option as it’s finished in luxe velvet and comes in a variety of shades. Try mixing and matching the colours with this style. Casual dining is on the up, with dining sets becoming almost ‘canteen’ like using benches instead of individual seats. This is a development from the industrial trend and can look really stylish in the right setting. In addition, choosing benches over seats is ideal for rooms with limited space or that might be difficult to plan. In many Victorian and Edwardian homes that have been updated, by removing the wall between the living room and the dining room to create one open space, the dining room is also used as a through-room to access the kitchen. This requires careful space planning to avoid disrupting the flow of the room. Benches are ideal for these rooms, as they can be tucked neatly away making plenty of space to move around in narrow dining rooms. For a rustic and unique style, try the IL Pezzo 6 Bench made from solid walnut. If you’re looking for something classic in style and really comfortable, the Webby 1 Bench is a great option and comes in three versatile colours. Round tables are becoming increasingly popular. Known to be more sociable, round tables better enable everyone around the table to talk to each other as everyone is better connected than they might be seated at a traditional table. In addition, round tables help with the flow of space, as there are no sharp edges or hash lines, making them ideal for smaller dining rooms, open plan spaces and kitchen tables. 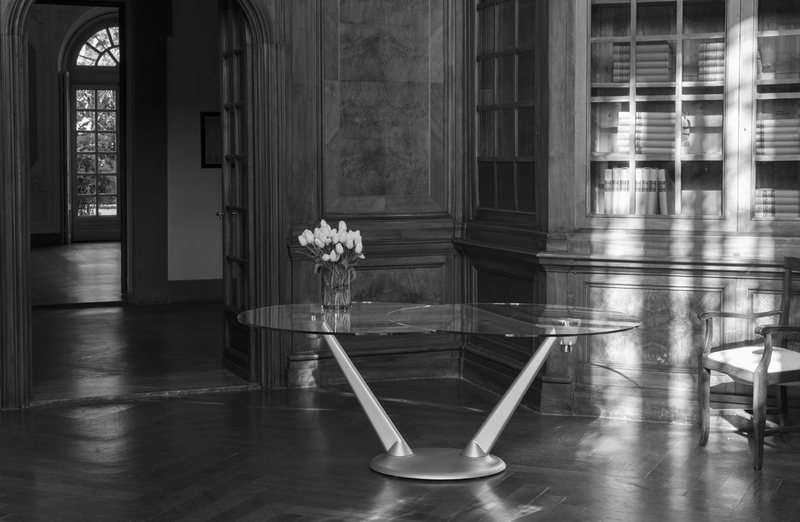 For a sleek statement piece, try the Theta Dining Table by porada. This unique piece features a glass top and sculpture-like base and works well in modern schemes. 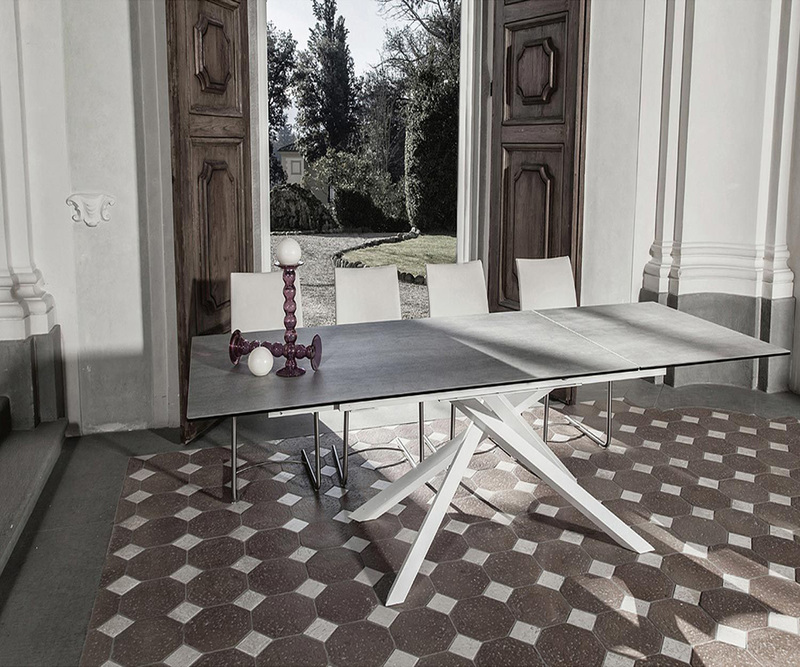 For something warm and softer, with an industrial edge, try the Rotonda Dining Table from the Urban Collection by Naustro Italia. Simple and laid back dining works so well for our incredibly varied modern lifestyles, making the rustic look incredibly popular for the year ahead. Rustic doesn’t have to mean old or dated though, it’s possible to create a rustic look while still maintaining a sleek finish. If you want to create a 21st century rustic style, it’s all about materials. Wood is at the heart of the rustic look, specifically deep and warm shades. For a versatile piece with a modern rustic feel, try the Snap Rectangular Extending Table. Choose the Natural Oak top, teamed with the Matt Nougat legs for warm tones and a rustic wood grain. If you’re looking for a round table, try the Twister Round Dining Table. This unique style features twisted legs that could be likened to the twisting bark of an old willow tree. Choose the Deco Nougat top and the Matt Grey legs for a simple and warm finish. With so many striking trends to choose from when it comes to modern dining furniture, it can be tricky to settle on just one. Consider what will work for you in 2019, how you will use your dining space and which styles will suit the feel you want to achieve. For further assistance in creating your ultimate dining space in 2019, fill out our interior design calculator to get a quote.